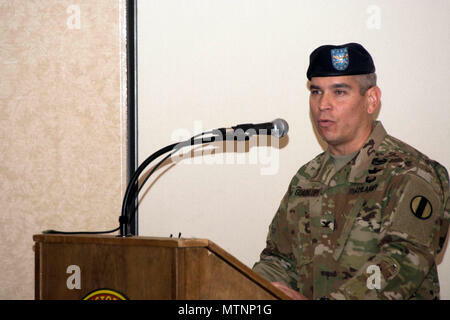 Col. Fernando Guadalupe Jr., commander of the Leader Training Brigade, speaks during the change of command ceremony Jan. 6 at the Officers Club on post. Guadalupe is a career aviation officer who was commissioned a second lieutenant at Georgia State University in 1994. 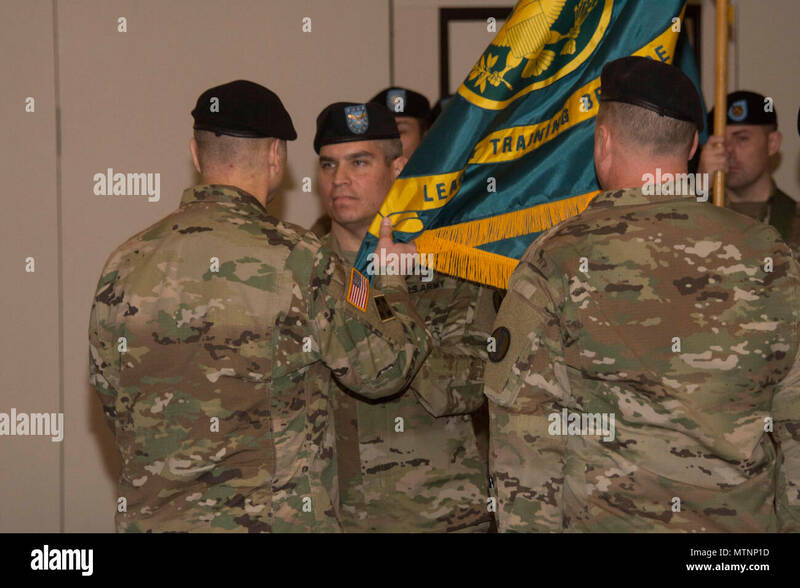 Col. Fernando Guadalupe Jr., commander of the Leader Training Brigade, receives the unit colors from Maj. Gen. Anthony C. Funkhouser, Center of Initial Military Training commander during a change of command ceremony Jan. 6 at the Officers Club on Fort Jackson. 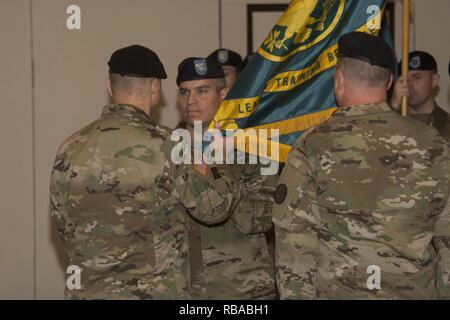 Guadalupe took command of the unit from Col. Michael Mammay who is retiring.